for modern, secure video meetings. Up to 8 video & audio participants per meeting. 2-way HD Video and Audio. 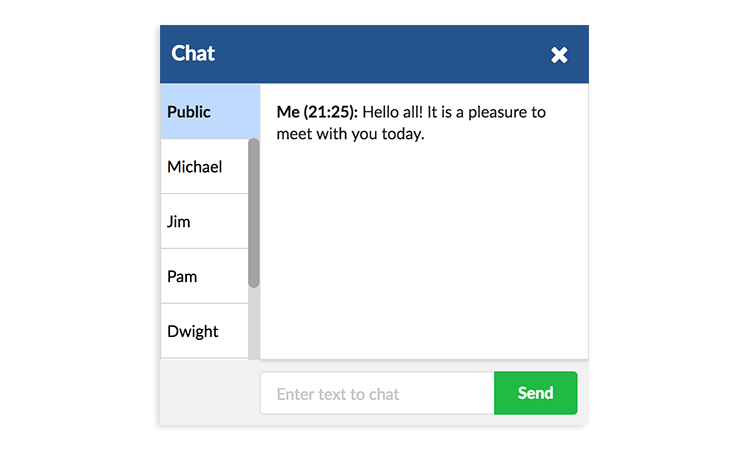 Secure, Peer-to-Peer transmission with end-to-end encryption over WebRTC. Compatible with Chrome, Firefox, Safari and Edge browsers. 1-way HD Video and Audio. Secure, 1-to-Many streaming via WebRTC. 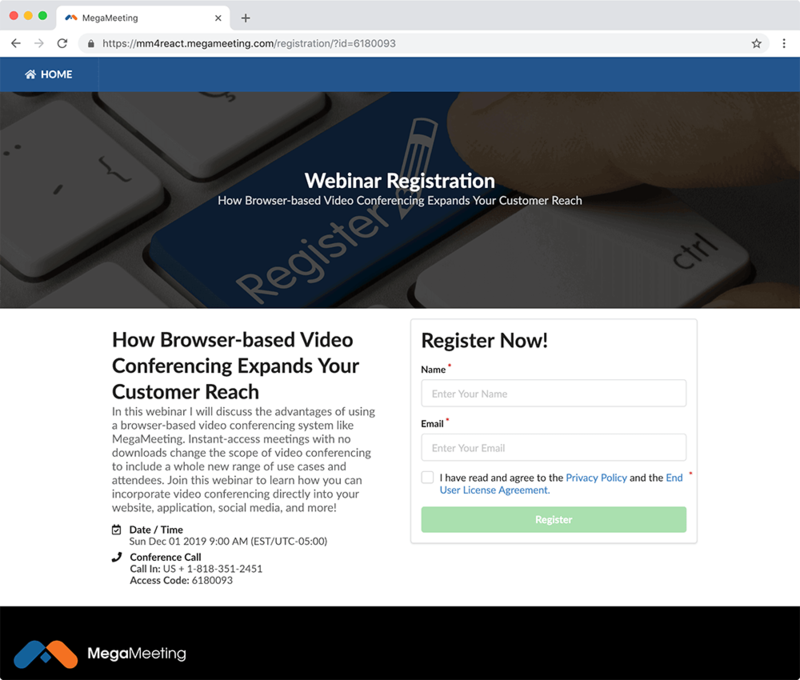 Invite your prospective webinar attendees to register for your meetings. Unique, individual links sent to each registrant. Automatic reminder emails sent 1 hour before start time. Share a view of your desktop or any active application with other participants. 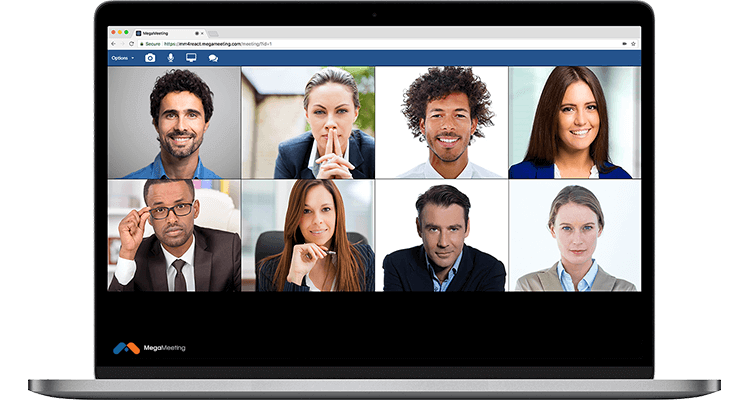 Give presentations, review documents, demonstrate software, train users and more! Requires Chrome or Firefox on a PC or Mac to share your screen. 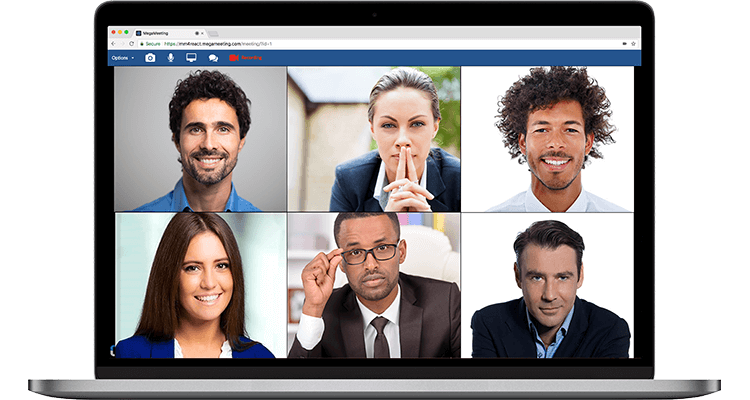 Group chat between all participants and Private Chat between individuals during Video Conferencing meetings. Host-to-Attendee, Attendee-to-Host chat during Webinars. Create and send customized email invitations to participants. Each invitation can include a unique, secure link and access key for each participant. 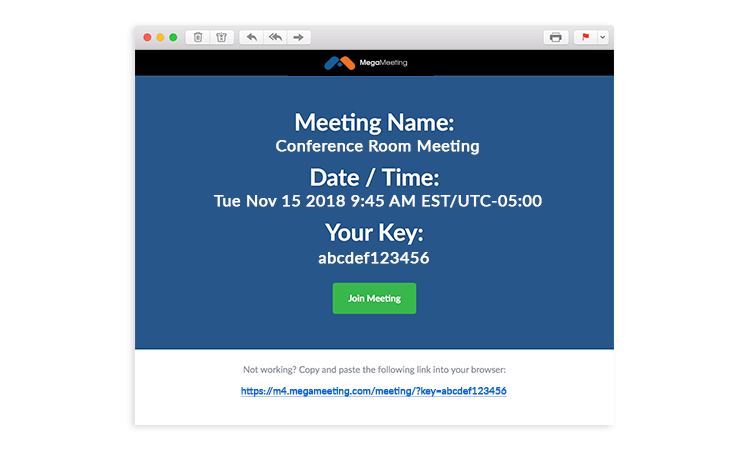 With one click, the secure link opens in the participant's web browser and logs into the meeting. Generate secure links and unique access keys for each participant. Maximize meeting security by limiting access to specific users with authorized keys. Revoke keys after a meeting to prevent unintended access. Exchange documents and files securely with other participants. Prepare files in advance and store them for future meetings. 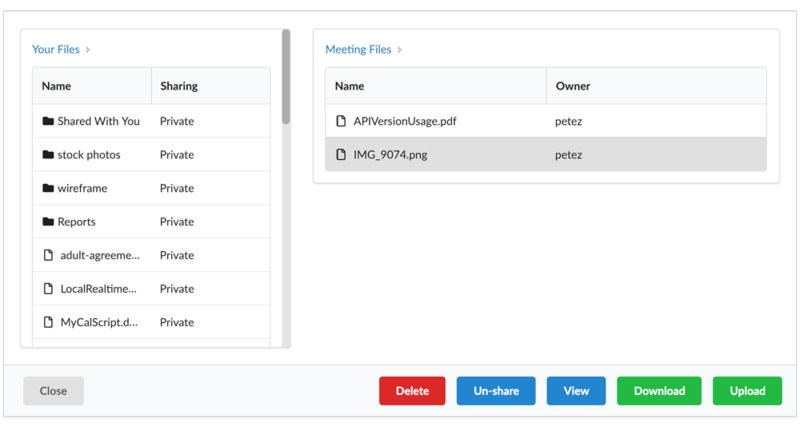 Share files with specific users or entire meetings. View uploaded files during live meetings. 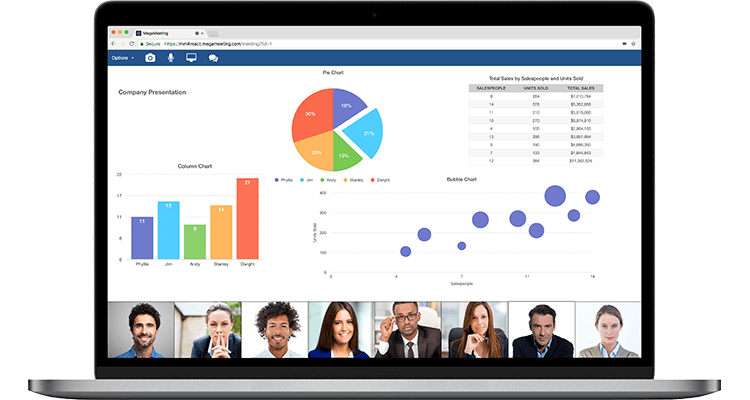 Record your meetings for later review, archiving, or training purposes. Download recordings in .MP4 format. Playback or share your recording with other participants! 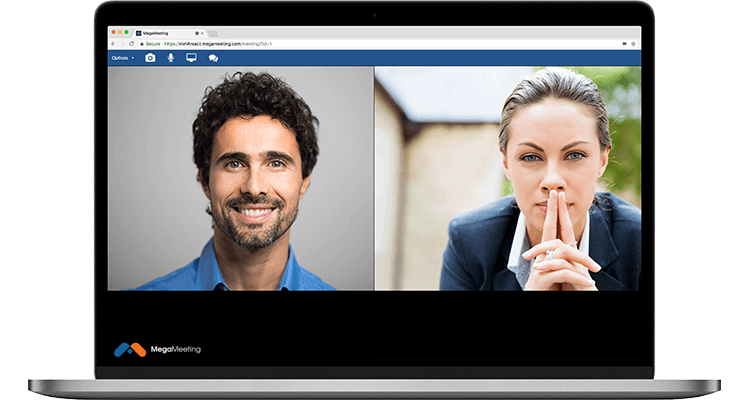 Integrate video conferencing into your own application. 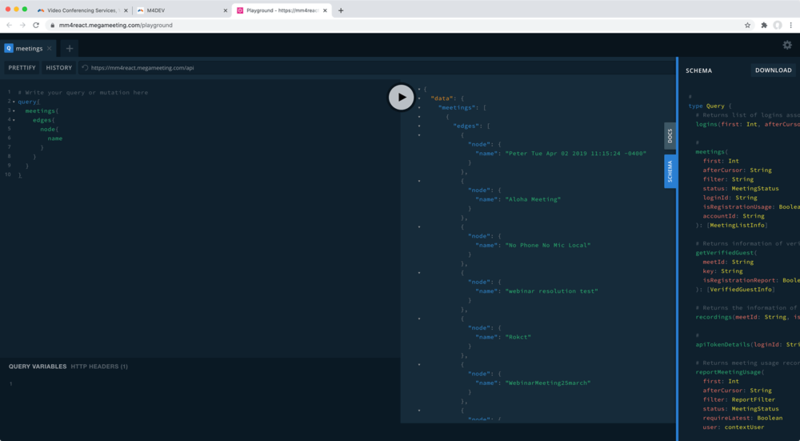 GraphQL API provides incredibly easy-to-use query language... so easy that it powers our front end as well. Simple queries and excellent documentation for developers. Fully customizable account providing a whitelabled experience! Customize your meeting room with company branding! Upload your own logo and favicon for a fully customized appearance. Choose one of several color themes, or add your own Hex Code for a custom color! Fully customized company branding across all meetings!